First I thought I’d show you everything we got with the new laptop setup. I’m very, very pleased with everything so far. I waited until Black Friday for Apple’s One Day sale to order everything. Apple doesn’t have sales very often, so when they do you have to jump on it. First, I started all my shopping at Ebates.com. They send me a percentage of what I spend online. Then I went to Apple and bought the 13 inch MacBook Pro. 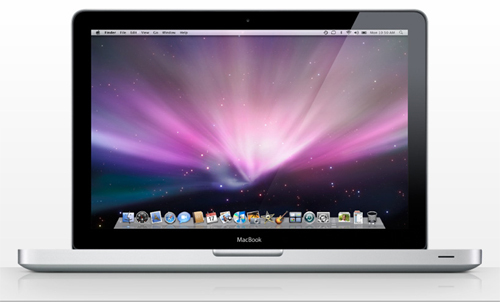 We had originally planned on getting the MacBook, but the Pro was on sale & the MacBook wasn’t. The Pro has a card slot for my SD camera card & it apparently runs faster. They were practically the same price with the sale so we went Pro. At first I was kind of sad that we couldn’t afford the 15 inch, because who wouldn’t love a giant screen? But now that I’ve used it I’m thinking it’s the perfect size. Now, part of the joy of owning a laptop is being able to use it all over the house without being tethered to the DSL cable. 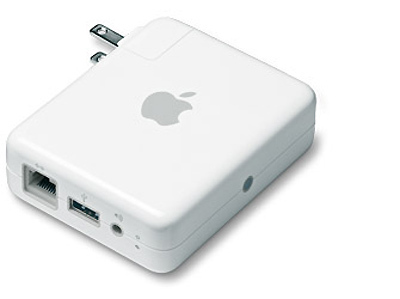 So I bought the Airport Express. Easy peasy set up and it works so great! We’ve taken Slim (CSP thought it would be prudent to name the laptop) all over the house and the signal is strong. When we set up the wifi network and it asked for a name for the network. Most networks in our neighborhood are named after the family name. Ours is Ceiling Fan. I would love to see the faces of our neighbors when Ceiling Fan comes up as a nearby network. Ha! Now, I am a big fan of accessories. And I was a little worried about having a laptop. A laptop moves around more than a desktop and therefore it is more apt to be scratched or damaged. So I wanted to get a hard shell case, a sleeve, and a keyboard cover. The Apple store has cases & sleeves, but they were running around $39-49 each. I knew I could do better. I ended up finding great deals on Amazon. 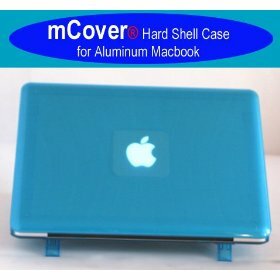 I bought this hard shell case that snapped on to the laptop really easily. It has vents and little feet that flip out that tilt the laptop up for easy typing. I love the aqua color. The Apple logo glows through it and looks so cool. Only $17.95. 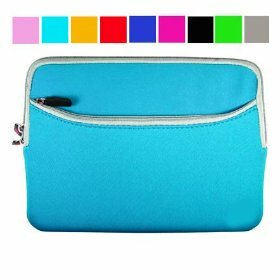 I also found a great neoprene sleeve. It has a pocket for a power cord or whatever. Comes in all sorts of cute colors. Slim fits all snug inside. It was only $15.99. 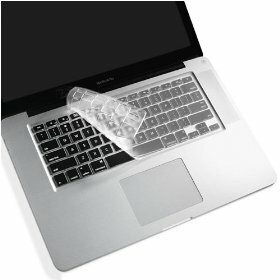 The silicone keyboard cover was only $5.61. I was a little worried that it would make typing weird but it doesn’t at all. It feels nice under your fingers. You can still see the backlit lights and it covers the whole keyboard so any spills would be contained. Although if you drink around Slim don’t think I won’t tackle you. That’s it. Well, I suppose a cool laptop bag would be nice. But with the sleeve I can pop Slim into any bag and know he’s (she’s?) protected. Don’t forget to enter the giveaway in the post below for a Friendly’s gift card! I’ll be drawing a name on Sunday night Dec 6!